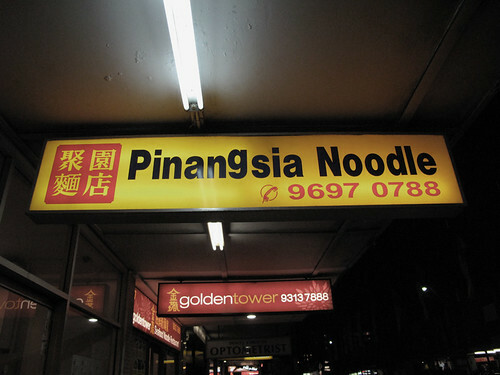 Pinangsia Noodle House | A Weblog about.... food. It’s important to accentuate the g…. ( it’s not like this on the other side). A little over a week ago in a semi intoxicated state I came up with what I thought at the time was one of the greatest drinks ever created. I’d been feeling like a martini, however having only vodka (I like gin in my martinis), some old sake and some questionable looking olives in the fridge my mind went into improv mode. From there things got a little blurry (cue pineapple scene in How I Met Your Mother). The day after wasn’t the best. I’d spent the first few hours of the day hung over the toilet bowl, listening to a friend tell me how horrible the drinks I’d made were, how obnoxious I had been, dry retching, tears running down my face in that classic anime way wondering what on earth had happened the night before. Anyway, why am I telling you this? I don’t know how it is for everyone else but when I’m in that headcrunching hungover state I find it really hard to stomach any food. All I want to do is lie down on a big fat sofa feeling sorry for myself watching Friends re-runs because there’s no risk of seeing them drink alcohol (who actually socialises over coffee like that?). But when my body begins to make a turn and my appetite returns its noodles that I usually find myself craving. Ramen, pho, handmade… any of it will do. Above all else though the one that really sings to me is bakmie ayam. What is it? It’s an awesome Indonesian concoction of egg noodles, chicken, mushrooms and some greens thrown in to brighten things up. And for me no place does it better then Pinangsia Noodle House in Kingsford. It’s cheap, cheerful and has no interest at all in aesthetics. Laminated tables, white walls and bright fluoro lights let you know the food is going to be good. You can order your noodles thick or thin, the thick ones are similar to ramen noodles, firm, eggy, buttery, but I always choose to go for the thin ones only because this is what I grew up with. 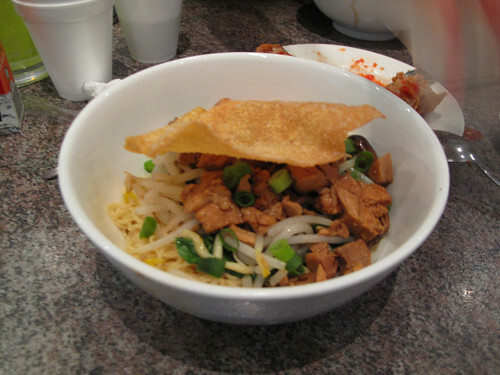 The noodles come topped with mushrooms and chicken, and my favourite, a super crispy wonton. The other reason I come to this place. 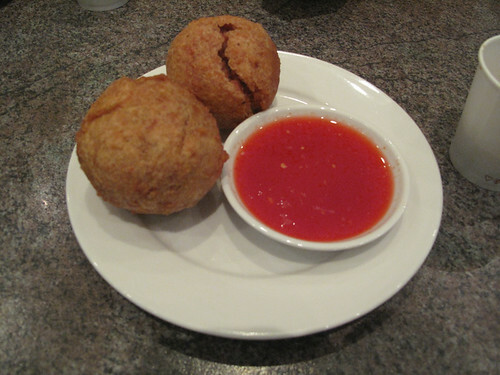 Mystery meat deep fried to into a perfect golden orb. Crack it open and you’ll find a juicy wonton like meat. Douse it with any of the multitude of condiments they have on offer (I like the chilli in the big vat by the drinks fridge), and you have yourself a winner. It’s a great feeling walking out of a place, stomach full, hangover conquered and wallet not so much lighter. It might not erase the fact that you were making an arse out of yourself the night before, but hey, you’ll deal with that stuff later. oh theyre totally delicious. i’m actually jealous that its close enough for a lunchbreak for you! I think you should stick to making them when you are still sober! i’ve been to one indo place on quay st in the city but other than that i’ve found it super hard to find any ! 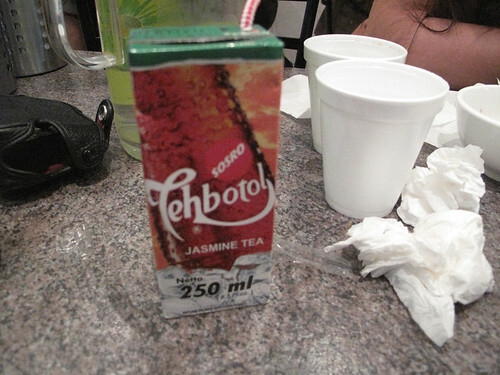 there’s plenty of indonesian food around kingsford, but yes in the city its hard to come by. the owner of this place told me theyre opening one on quay street as well though so something to look forward to! There’s also a couple of Shalom’s in the city, pitt st and sussex st and I do rate them! In your defence, your Martinis were pretty potent! I don’t believe I got to meet them? Or did I? Can’t wait to go there! been meaning to eat there for ages actually……I’m with u on the noodle hangover cure as well…………….btw can u give me the obnoxious martini recipe? i think i’ll give it a red hot go….! haha mystery meat 😛 as long as it taste good…who cares what meat is it!